I use this whipped cream on cream pies and cakes, when I want to have the finished product as something to look at and not just consume immediately. If I'm not making a show of it, I just use my isi whipped cream dispenser (like they use at Starbucks) with simple cream and a little powdered sugar. That way, I don't have to cover the whole pie with whipped cream at one time. I will just dispense it on each serving. 2. Scald 2 tablespoon of the cream (this means you put the cream in a pan and bring it to a simmer on the stove); pour over gelatin, stirring till dissolved. 3. Refrigerate until consistency of unbeaten egg white. (This takes about 10-15 minutes.) Then, with a whisk, beat until smooth. 4. In a stand mixer with a whip attachment, or with a hand beater, whip remaining cream and sugar just until soft peaks form; whip in the smoothed gelatin mixture, stopping to scrape the bowl twice. Whip until stiff peaks start to form, but be careful not to over beat. You will probably only need to whip it another 10-20 seconds before it's done. cake or spongecake. Tops one standard 9" pie with some left over to enjoy from a spoon. Stands up well, even in warm weather. Keep leftover frosting and any product topped with it in the refrigerator until ready to eat. 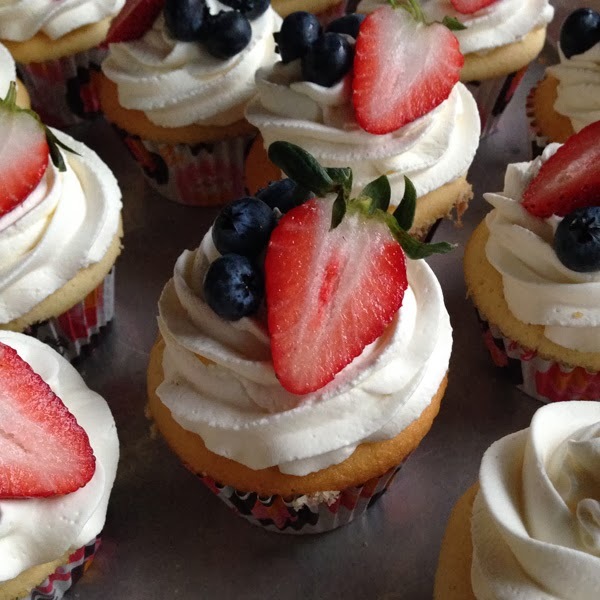 You can also make flavored stabilized whipped cream frosting by using flavored gelatin powder. Click here for that little experiment.